Stomping its way through my portfolio is my cartoon stegosaurus – a gigantic prehistoric dinosaur from the late Jurassic period. Stegosaurus was roughly the size of an elephant but with a brain the size of a walnut! Its name means ‘roofed lizard’ in reference to the two rows of bony plates that line his back. The tail ends in four, three-foot-long spikes which were used to defend the Stegosaurus from predators. 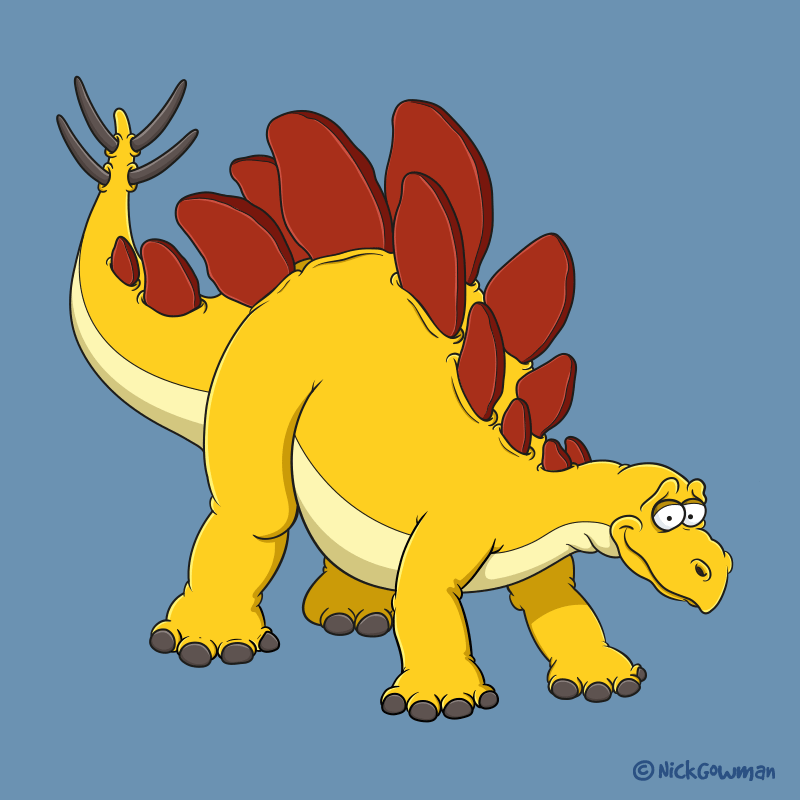 This cartoon stegosaurus was created initially in pencils, before fully digitising all of the outlines. Finally, solid colours were added, along with some shades and highlights. I decided to try out a bright yellow, with strongly contrasting red plates.